This powerful monument is deep with symbolism. 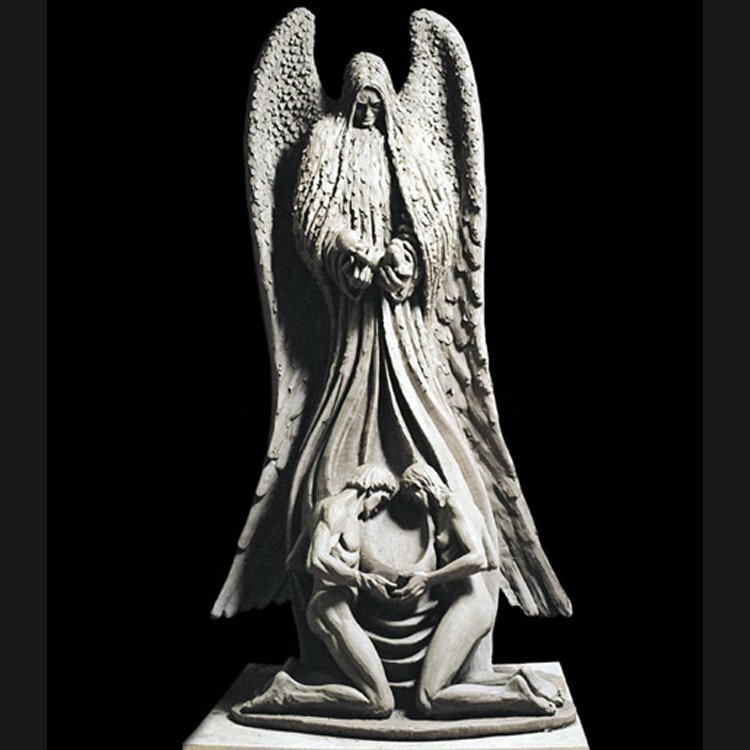 Both parents are depicted on their knees looking down upon their empty hands with sorrow. 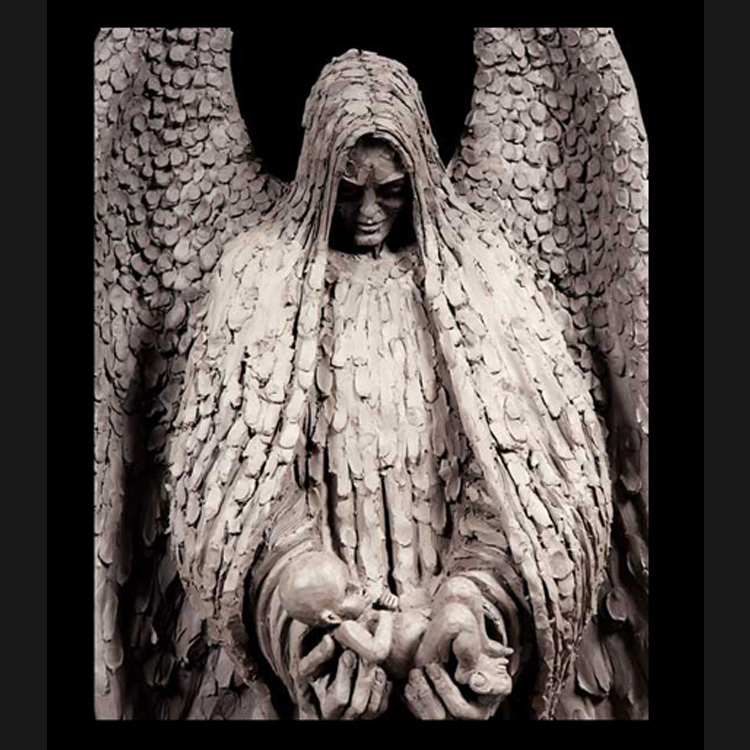 Behind them the folds of the angel’s cloak form the shape of an empty womb. 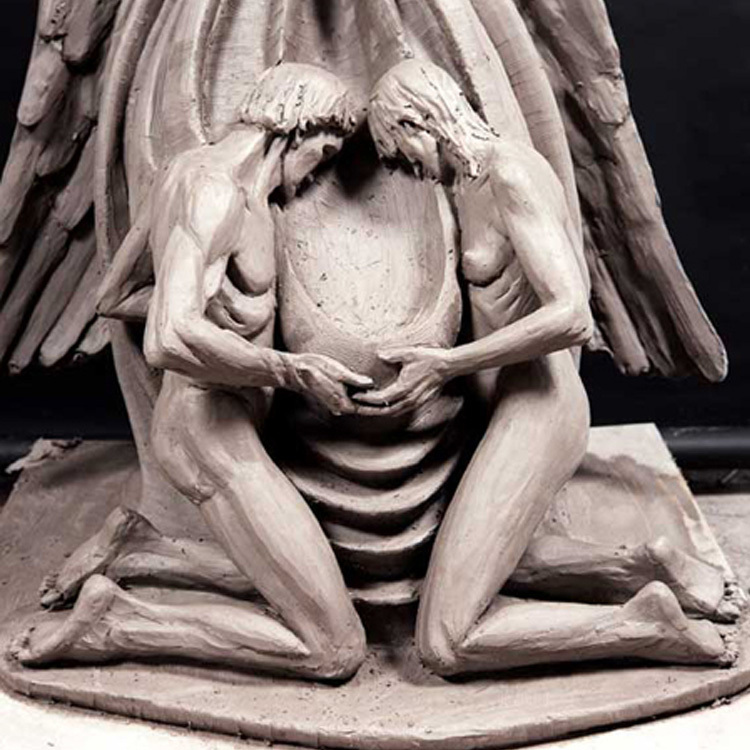 The unborn child is cradled in the hands of a majestic angel as its wings shelter and comfort the repentant parents. The angel’s gesture suggests both a magnificent presentation as well as the return of the infant to the Lord. Small scale replicas available in quantities of 50 or more.